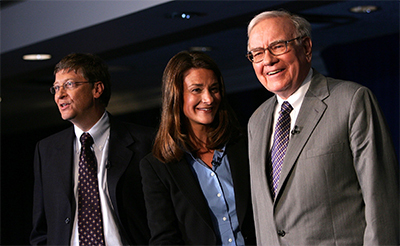 On being asked about his favorite celebrities, Bill Gates said his wife Melinda Gates and Warren Buffett are two of his favorites, followed by Irish singer Bono. Adding that he doesn't know many celebrities, he said he does get to meet many political leaders and "Nelson Mandela was the most impressive ever". "Jimmy Carter is also amazing," he added.